Ecuador’s Pacific seaboard rolls down from the foothills of the Western Cordillera of the Andes to the shores of the Pacific Ocean. From north to south, the coast of Ecuador is dotted with wide, sandy beaches, some pristine like Los Frailes (within Machalilla National Park), others with fishermen villages, fashionable resorts like Salinas or Bahia de Caráquez, modern cities, and the occasional archaeological site. It’s a region where life is played out at a different rhythm and seems a long way culturally from the high Andes. 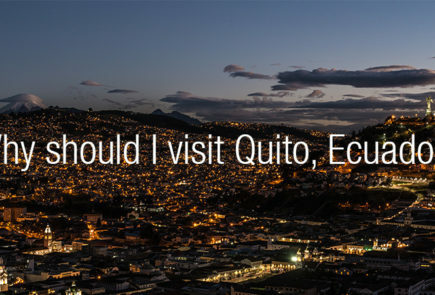 Ecuador’s largest city is a vibrant metropolis that stretches along the River Guayas delta, a busy port of commercial buildings and baronial mansions. Guayaquil also has a rich collection of museums, some flagship urban regeneration projects and good dining and nightlife. Enjoy the old quarter of Las Peñas with its traditional architecture as well as the modern and bustling riverfront Malecón. Guayaquil Parque Histórico was created by the Central Bank of Ecuador to preserve the culture and customs of the Ecuadorian coast. The park has 3 areas, Wildlife, Urban-Architecture. and Traditions. This is a great opportunity to have a close look at the lush natural scenery of the tropical lowlands of Ecuador, getting away from the big city and driving along rice paddies, banana and sugar cane plantations and the natural vegetation of the equatorial tropics. Have the opportunity to learn first-hand the way of life and traditions of the ‘Montubio Culture’ of Ecuador’s coastal region, enjoy the history of cocoa beans and the modern processes used to obtain the best chocolate (Ecuador is among the main producers of high quality cocoa in the world). Guayaquil scenic tour with lunch, visits Guayaquil Port, the Centennial Park that honors the heroes of Guayaquil’s independence. The Plaza of the Administration and the striking Government and Municipal Buildings, the Moorish Clock Tower, the monument to Sucre and Bolívar Park. The visit includes the main attractions of the Port of Guayaquil, starting with the Centennial Plaza that honors the heroes of Guayaquil’s independence, and then along 9th of October Boulevard to the heart of the business district of the city with the Plaza of the Administration and the striking Government and Municipal Buildings. Guayaquil scenic tour includes visit to Guayaquil Port, the Centennial Park that honors the heroes of Guayaquil’s independence. The Plaza of the Administration and the striking Government and Municipal Buildings, the Moorish Clock Tower, the monument to Sucre and Bolívar Park.